CES is the world's gathering place for all those who thrive on the business of consumer technologies. It has served as the proving ground for innovators and breakthrough technologies for 50 years — the global stage where next-generation innovations are introduced to the marketplace. 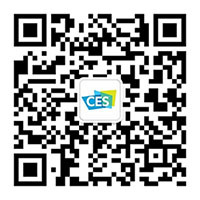 CES showcases more than 4,400 exhibiting companies, including manufacturers, developers and suppliers of consumer technology hardware, content, technology delivery systems and more; a conference program with more than 250 conference sessions and more than 182,000 attendees from 160 countries. And because it is owned and produced by the Consumer Technology Association (CTA)™ — the technology trade association representing the $398 billion U.S. consumer technology industry — it attracts the world’s business leaders and pioneering thinkers to a forum where the industry’s most relevant issues are addressed. Find out more about the thought leaders who come to CES by checking out the CES 2018 Attendance Audit Summary (PDF). With 11 official venues, CES spans more than 2.9 million net square feet of exhibit space and features 33 product categories and 24 Marketplaces. To help you navigate, venues are grouped into three geographical areas: Tech East, Tech West and Tech South. The first CES took place in New York City in June 1967. Since then, thousands of products have been announced at the yearly show, including many that have transformed our lives. The World Trade Center Las Vegas (WTCLV), one of the busiest facilities in the world, is a 3.2 million-square-foot convention center located within a short distance of the famous Las Vegas Strip. The WTCLV engages in trade activities, provides trade and exhibition services, and provides reciprocal services to other members of the World Trade Centers Association network. History of CES. Since 1967, the Consumer Electronics Show®, CES, has been the showcase of consumer technology innovation. Over the years, it has become the largest and most influential technology event on the planet.